Microsoft is busy building the next major Windows update which includes a improved version of internet explorer. 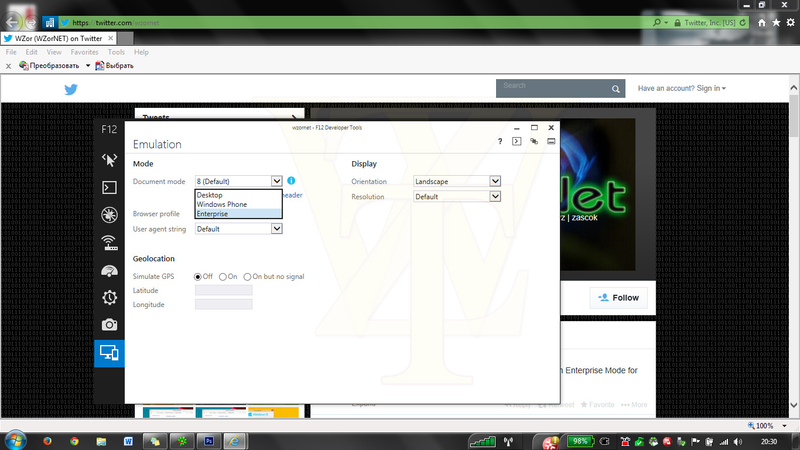 It is not a major update for IE but it does bring a very useful feature called Enterprise Mode which helps you to increase compatibility with your website. 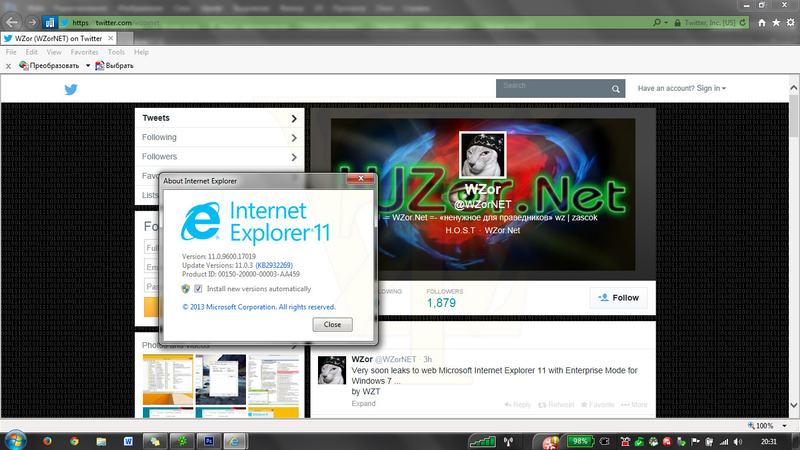 Currently IE 11 has compatibility mode but it does not work perfectly in some of the sites. May be Microsoft is trying to bring in a better mode which will let the website use the browser to the fullest potential. Windows 8.1 update 1 will bring this update to Windows 8.1 users. 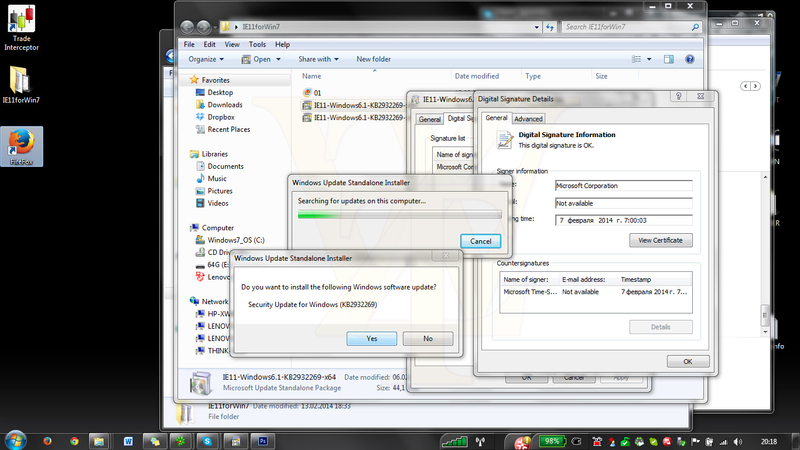 Also Windows 7 users will get the update via the Windows update. The screenshots show the feature in action. 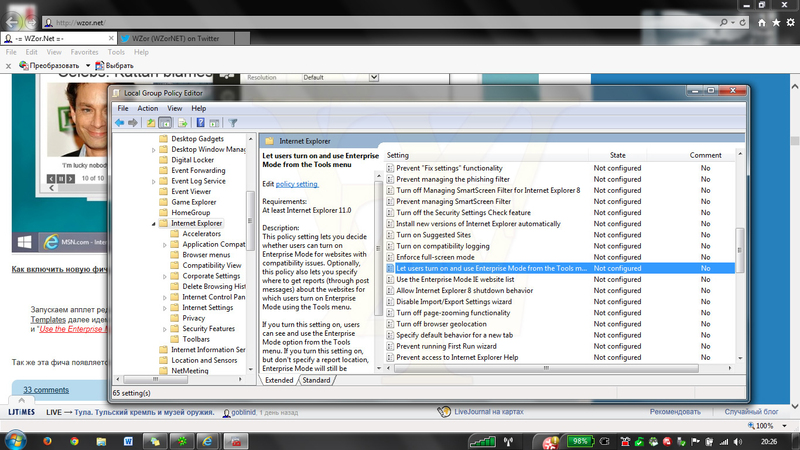 This mode has to be enabled by editing group policy for now. But this will change when the official version comes out.